UPDATE: Mazda Philippines says 8 are now sold. 12 are left (02/12). With a production limited to just 3,000 units globally, the Mazda MX-5 30th Anniversary Edition is poised to be a future collectible. True enough, the US market, with its 500-unit allocation sold out just 4 hours after order books were opened. With Mazda Philippines confirming that the MX-5 30th Anniversary Edition is coming in, we finally got more details on just how many we’ll be getting and how many have been sold already. Speaking at yesterday’s Miata Club of the Philippines breakfast meet, Steven Tan, President of Bermaz Auto Philippines, the distributor of Mazda vehicles in the country, confirmed that they were able to secure 20 units of the 30th Anniversary Edition models. The final mix of manual and automatic transmission variants is still being finalized, but all 20 will be the RF or Retractable Fastback models. Before the morning even finished, 4 out of the 20 units have already been spoken for. This leaves 16 units still left to be allocated between Mazda’s 21 dealerships nationwide. Tan says he’ll be working with the dealers to find out where the 16 units will go. 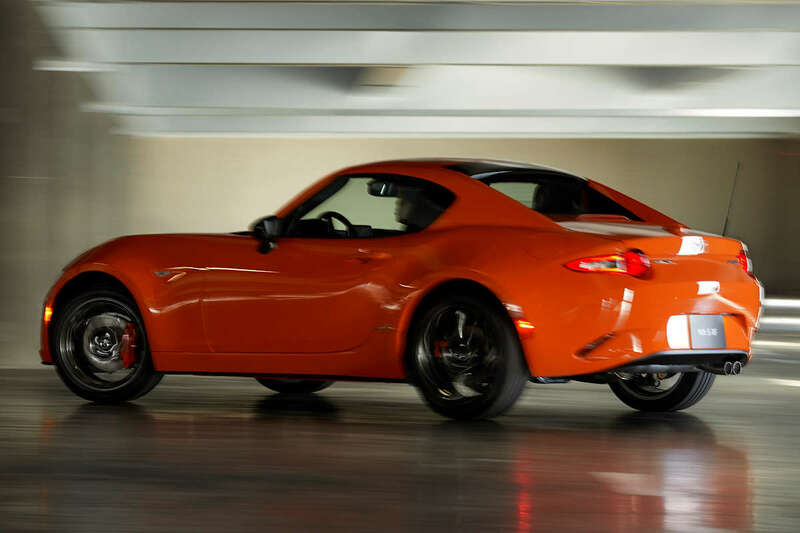 He advises interested buyers of the MX-5 30th Anniversary Edition to contact their preferred Mazda dealership starting the week of February 18. Tan says that delivery of the limited-edition MX-5 will commence by around the third quarter of the year. The final price has yet to be determined, but may reach approximately P 3 million—that’s a P 320,000 premium over the RF Club Edition on which the 30th Anniversary Edition model is based on. Revealed last Friday at the Chicago Auto Show, the MX-5 30th Anniversary Edition has a unique Racing Orange color. It also adopts technology from the MX-5’s vast racing pedigree,with Rays ZE40 RS30 forged aluminum wheels, Brembo front disc brakes (with orange-colored calipers, of course), Nissin rear brakes (also with orange-colored calipers), and for manual transmission models, Bilstein dampers, rear limited slip differential, and a front tower brace. Further differentiating the MX-5 30th Anniversary Edition are swathes of Alcantara (with orange stitching) on the Recaro seats, door trim, dashboard, and shift lever, as well as a serialized 30th Anniversary badge.